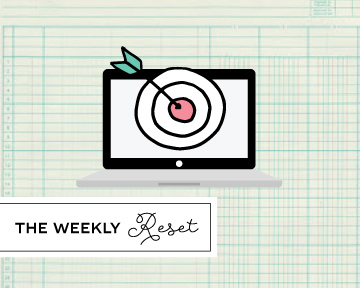 Give Yourself a Reset Each Week! Sign up for my new personal newsletter delivered to your inbox every Sunday! Simple, little emails designed to give you a few tips or inspiring ideas to reset yourself and get ready for the week ahead. I share what I am doing currently and links to share things I think you will love too! Send me the awesome emails!